Hello! 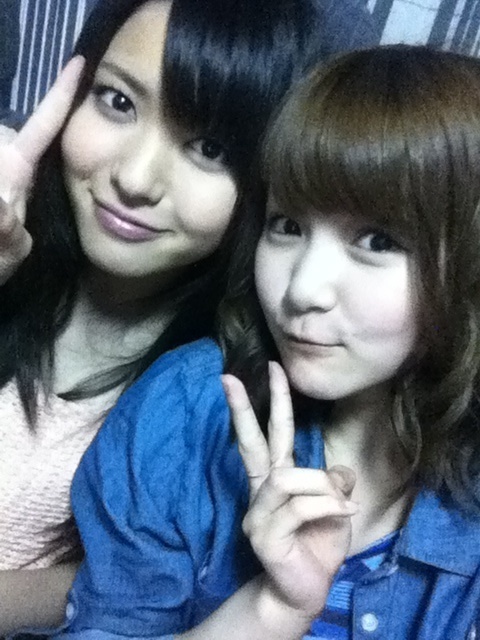 Project member Mitsui Aika shared this 2-shot with Maimi from their filming for “Hello! SATOYAMA Life” on her solo blog. Staff member staffff tweeted this picture of Maimi and Berryz Koubou’s Tokunaga Chinami……’s arm. Nishikawa Takanori, whose Nico Nico Douga live show Maimi and Chinami appeared on, tweeted this group shot from the girls’ appearance earlier today. Posted on June 21, 2012, in Articles and tagged Mitsui Aika, Yajima Maimi. Bookmark the permalink. Leave a comment.